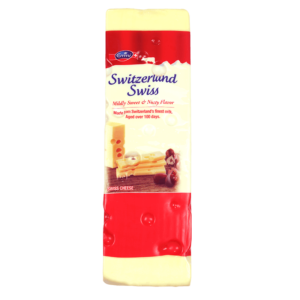 Emmi signature ready-to-serve Fondü is now creamier than ever. 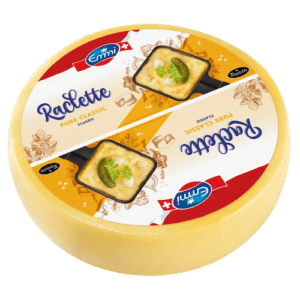 It heats up in minutes and is wonderful for dipping all sorts of accompaniments. 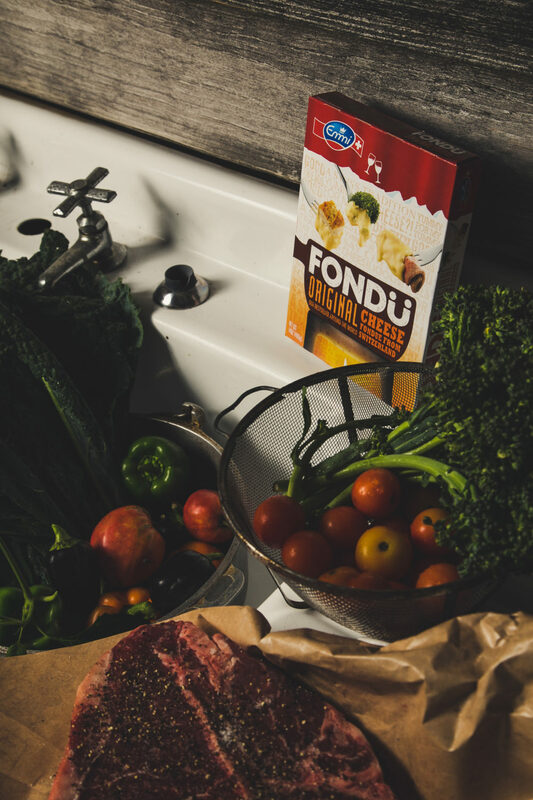 Fondü is also one of our favorite secret weapons in the kitchen. Ready in minutes, it’s the low-key star of this DIY polenta party for a crowd with quick sautéed greens, roasted mushrooms and beets, and an oven polenta recipe so easy you’ll never make it any other way. 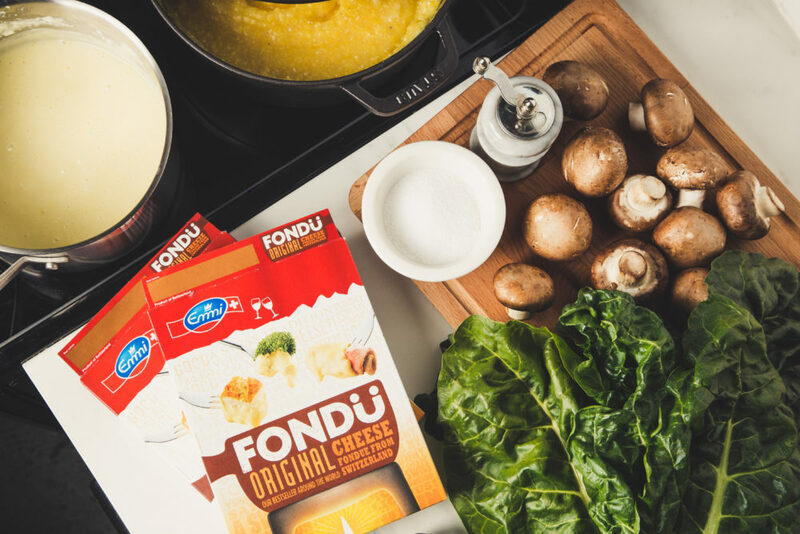 As you may have guessed, it all gets topped with creamy, cheesy Fondü. The best part of this DIY polenta bar is how quickly it all comes together to feed a crowd. The polenta method is key to keeping your party prep stress free. We’re big fans of the set-it-and-forget-it ease of baked polenta. No need for constant stirring and the texture is just right. We’re honestly not sure why we ever made polenta any other way. You’ll need a casserole dish or Dutch oven (should hold at least 8 cups). In your baking dish, combine 4 cups water with 1 cup coarse ground cornmeal and a big pinch of salt. Bake at 350 degrees F for 1 hour, stirring in a couple tablespoons of butter or olive oil in the last 10-15 minutes of cooking. That’s it! Perfect polenta is served. The toppings for this laid back party should be equally unfussy. We opted for quick sautéed greens (with lots of garlic), and roasted mushrooms and golden beets. Practically any roasted vegetable would be fantastic. 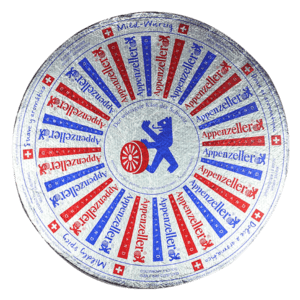 A slow-cooked meat – chicken, beef or pork – would make an excellent addition, as well. 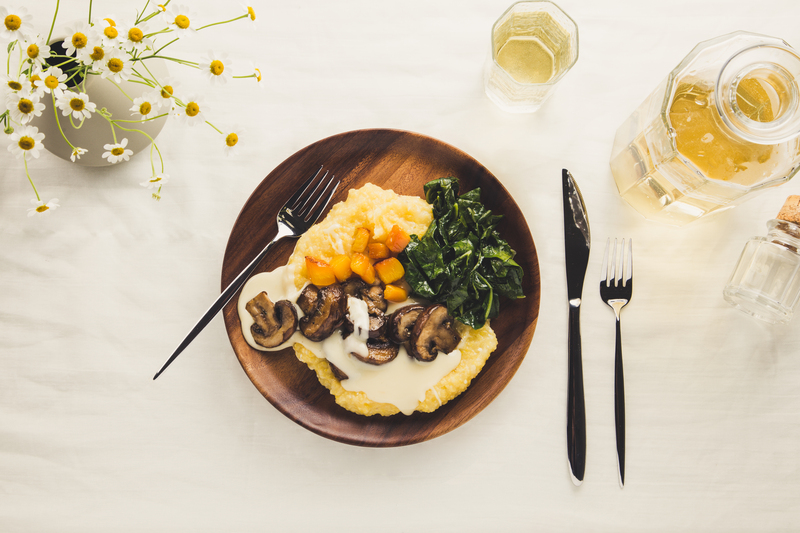 Emmi Fondü serves as a decadent cheese sauce with party-worthy flavor appeal. Heat in a saucepan, stirring frequently, until smooth. Reduce heat to the lowest setting to keep warm, stirring often. For this casual polenta party, we’re happy to let everyone serve themselves in the kitchen, keeping everything warm on the stove. If you’re setting up a buffet elsewhere, a fondue pot will come in handy. The best part is that this casually elegant spread requires very little prep, letting you spend as much quality time as possible with your guests. Cheers to that! 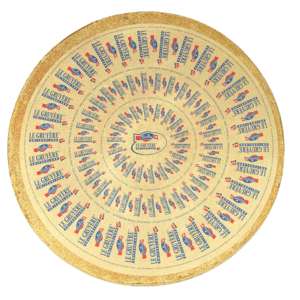 It will come as no surprise that our dinner parties are usually centered around cheese. 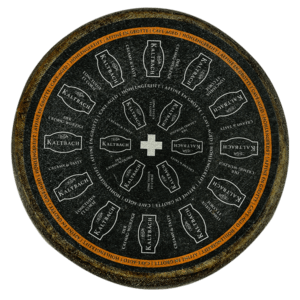 Whether we’re warming up pots of Fondü for dipping, firing up the Raclette grill or setting out bountiful cheese boards for nibbling, the cheese is always center stage. That’s enough to ensure plenty of prompt “yes” RSVPs, but once the party arrives, we want to make it an extra special experience for our guests. 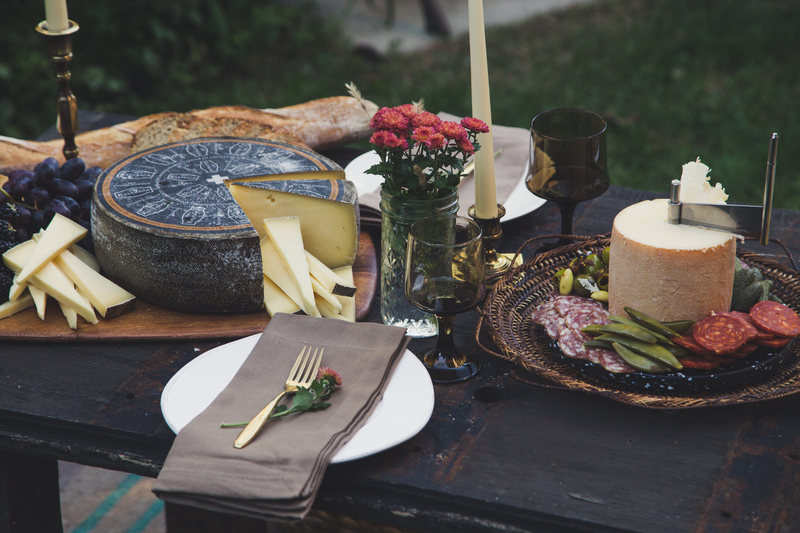 A few small touches help keep good energy and leave a lasting impression long after the last piece of cheese has been devoured. 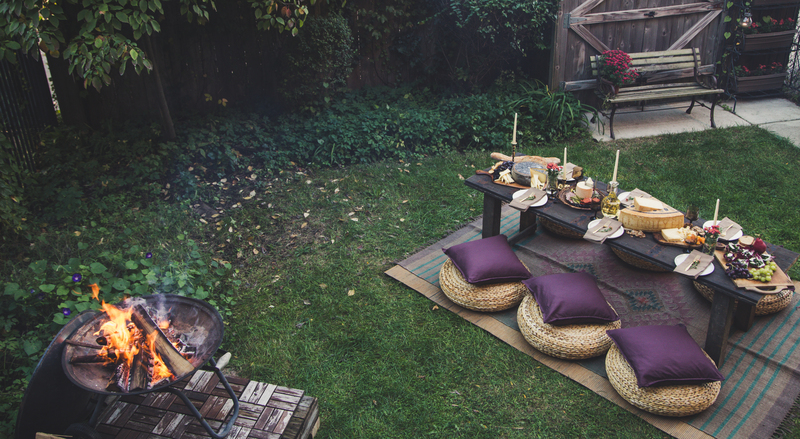 As long as the weather possibly allows, we’re throwing parties al fresco — bundling up in sweaters and blankets, and cozying up by the fire. Whether you’re indoors or out, you can create a totally new environment simply by changing your table height. And no, we don’t mean making permanent changes to your furniture. You can create a custom low “table” with a piece of wood or tabletop surface, and cinder blocks. Layer a few tablecloths or throws over top for a more boho feel (or to hide a less-than-charming surface). For seating, think pillows and cushions. Get creative and cozy! A couple pots of mums are easy to find and inexpensive throughout the fall season. Snip off a few bunches to fill small jars and tabletop vases. Place a flower on each place setting. Wrap up small bundles with parchment paper, and secure with twine for sweet little takeaway bouquets. Use whatever is leftover to fill your prettiest pots around the table. Pick a neutral color palette for your table to ensure the food and florals really pop. Here, we’ve chosen warm tones of brown and gold to complement the dark wood table. A plethora of cheese-friendly accompaniments can be found on the olive bar at nearly every grocery store these days. 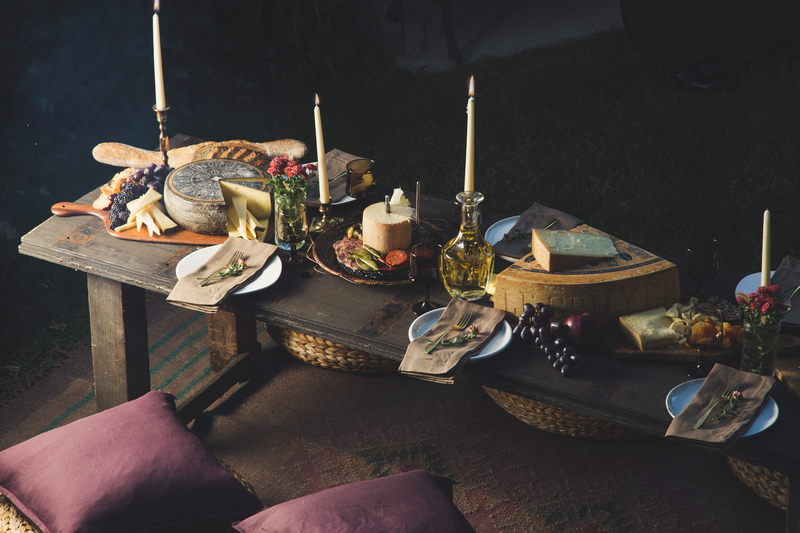 Take full advantage to create bountiful cheese boards with minimal effort. Be sure to look for items in a variety of colors to add visual interest. 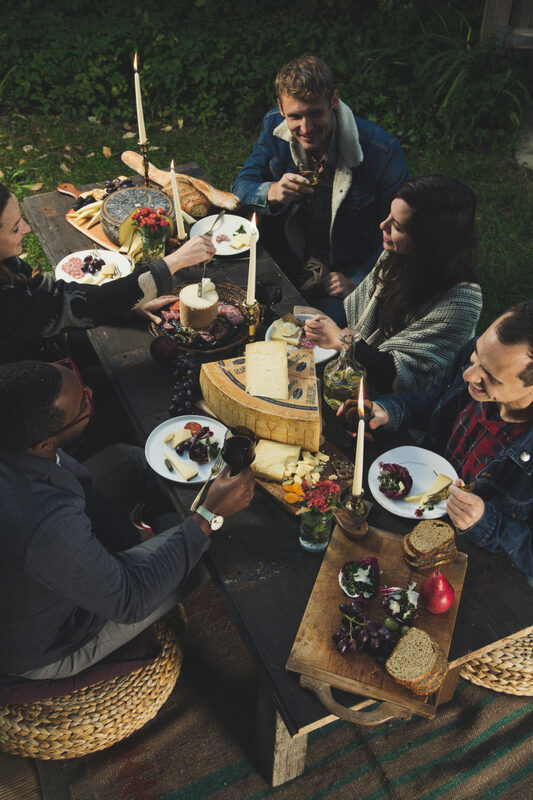 A dinner party centered around cheese is enough to make your guests giddy with excitement, but keep them involved throughout the night. 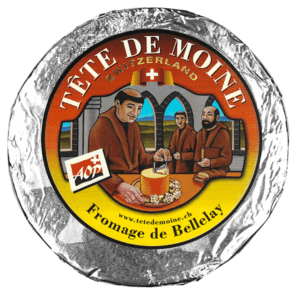 A wheel of Tête de Moine adds extra excitement to the table. We love watching guests’ faces light up as they spin the girolle, a tool that curls the cheese into petal-shaped pieces. 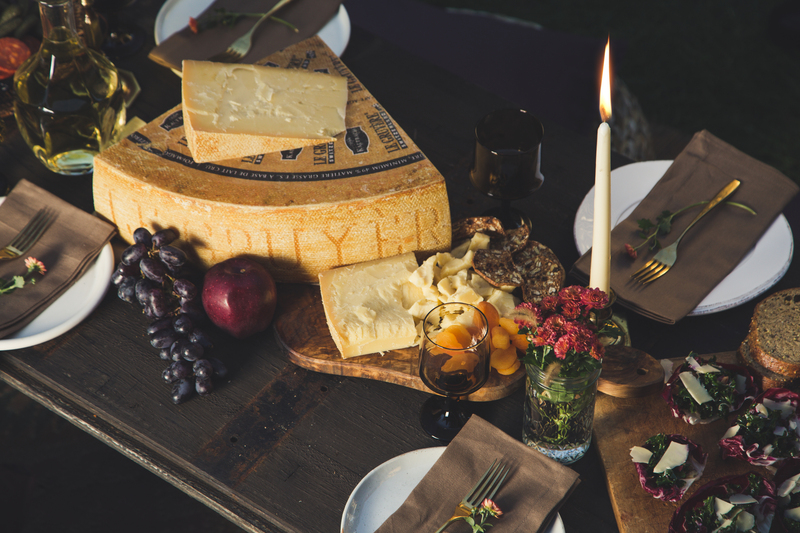 With other cheeses, keep large wedges on-hand for cutting throughout the night, so guests can see and feel the rinds as they slice off a piece. 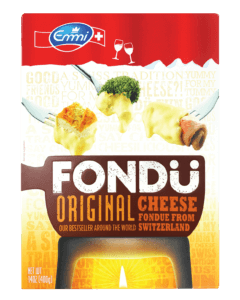 Of course, fondue and Raclette are wonderfully interactive as well, and our Emmi Fondü is easy to heat and serve. 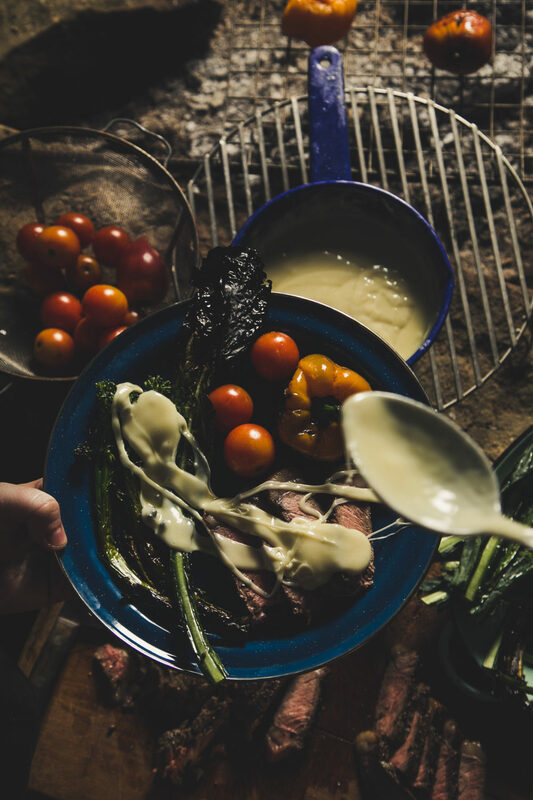 When we think of campfire foods, fondue might not immediately come to mind but, in fact, the campfire is where fondue as we know it was invented. Decades ago, an Alpine herdsman grew tired of his regular dinner and, in a stroke of ingenuity, melted wine and cheese together over the fire and ate it with crusty bread. Ready to serve and conveniently packaged, Emmi Fondü is an excellent camping companion. Simply empty the packet of Fondü into a campfire-safe pot (enamel camping cookware or cast iron are great) and heat over the fire. In minutes, you’ll have smooth, creamy fondue for dipping bread, fruit and any combination of grilled meats and vegetables. 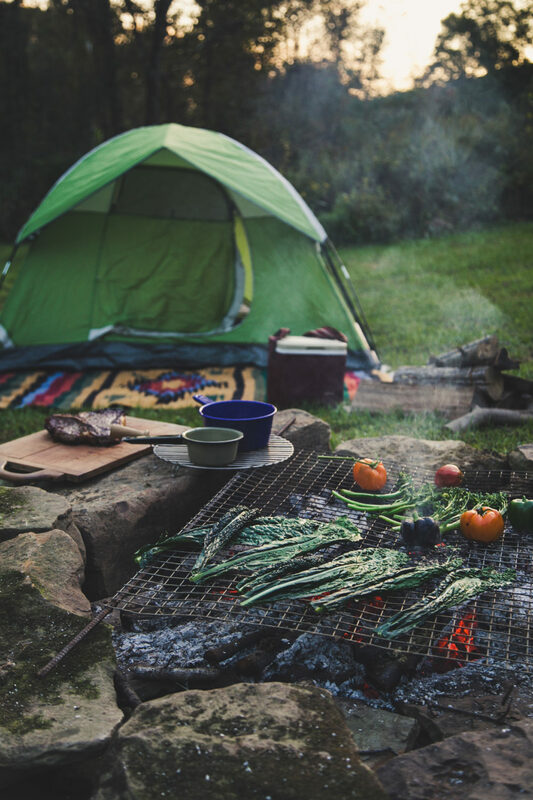 This fall, we set up camp and brought along the last of the summer tomatoes and peppers, hearty greens like broccolini and kale. They all got a good drizzle of olive oil and went right onto a cooking grate over the fire with a big porterhouse steak that fed our entire crew. 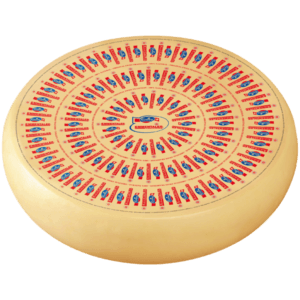 While our Fondü is wonderful for traditional dipping, it also makes a fabulous cheese sauce. 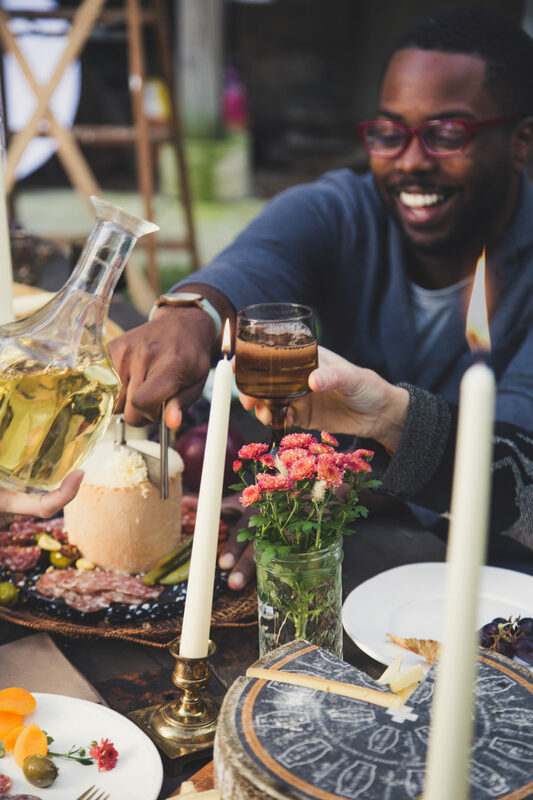 We generously drizzled it over the grilled steak and vegetables, topped off everyone’s wine glasses and sat back to enjoy our simply prepared meal over great conversation and many laughs. After all, isn’t that what’s so wonderful about camping in the first place? Slowing down, coming together and enjoying the great outdoors. Create your own adventure. Find Emmi Fondü near you.